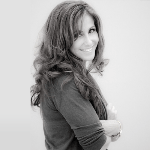 Kelley Kosow is a Master Integrative Life Coach, CEO & Program Leader of The Ford Institute. She is a leader and teacher of emotional education, shadow work, and personal mastery. In 2007, Kelley joined The Ford Institute staff. She was hand-picked and personally trained by #1 New York Times bestselling author, the late Debbie Ford, to lead her programs and continue the legacy of her life-changing work. Known as a “coach’s coach,” Kelley works with individuals, groups and corporations world-wide. Kelley is a graduate of Brown University and University of Miami Law School. Kelley has been featured in local and national media. Oprah Magazine named Kelley as someone who could “Dream it, Do it.” She has been featured in In Style, People, NY and LA Times, and Conde Nast Traveler. Kelley is working on her first book on Integrity.